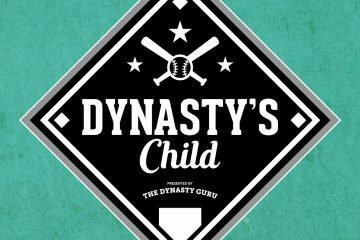 Since the publication of the 2018 Top 180 Fantasy Pitching Prospects, Part 1, Part 2, Part 3, and Part 4, Spring Training and the first month of the season are in the books. The man, the myth, the legend, Shohei Ohtani deserves his own heading. Following his disastrous spring on the mound and at the plate, some questioned whether he should even make the Opening Day roster for the Angels. 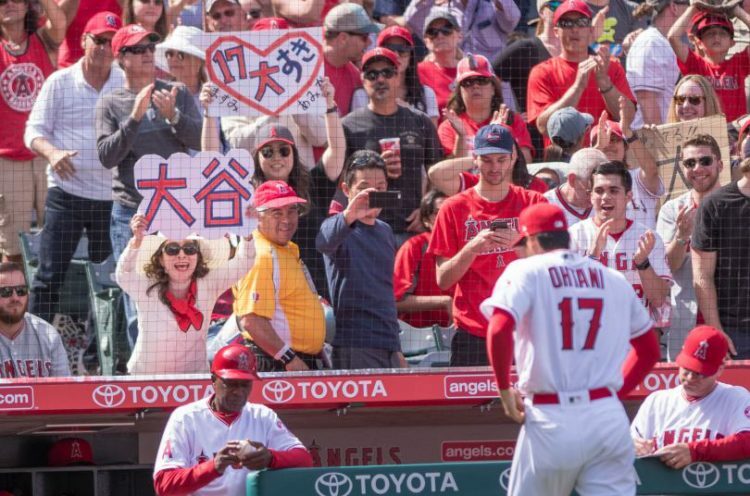 Now, over a month into the season, Ohtani already established himself as one of the most exciting players in baseball. On the mound, Ohtani sports the third fastest fastball velocity among starting pitchers (97.3 mph, according to MLB.com). Most impressively, his upper-80s splitter has become one of the best pitches in baseball. Over four starts, Ohtani has thrown his splitter 105 times and elicited 31 whiffs (29.5%) with 0 hits allowed! This is even more impressive considering he struggled with command his last two starts and only managed 5 whiffs on 47 splitters. Thus far, lack of consistent command is Ohtani’s main problem, leading to 9 walks (11.1%) and high pitch counts. At the plate, Ohtani is performing even better than expected, hitting .333/.373/.667 with 4 home runs, including one off Corey Kluber. Incredibly, of his 36 balls in play, only 2 recorded as “soft” contact. As such, Ohtani places 22nd in exit velocity. Most recently, he moved from hitting near the bottom of the lineup to the middle, receiving consecutive starts batting fifth. Finally, Ohtani remains a fantasy enigma. In weekly leagues, he lacks much utility as he only receives (at most) 1 start per week on the mound and 3-4 starts per week at designated hitter. In daily leagues, active owners can squeeze every ounce of value from Ohtani’s duel-eligibility. His unique eligibility and performance places him 30th on ESPN’s player rater through May 2nd. Tyler Mahle, Cincinnati Reds. Mahle’s season has been a mixed bag. On the positive side, he has 38 strikeouts in just 33 1/3 innings (27.3%). Further, Mahle has two excellent outings, his first and most recent. In between those outings, however, he struggled. On the year, Mahle has allowed 7 home runs (1.89 HR/9) and 41.6% hard contact. Nevertheless, his repertoire is solid, with a competent three-pitch mix (fastball, slider, and changeup). Mahle has 3- or 4-starter upside. Brandon Woodruff, Milwaukee Brewers. On May 1st, the Brewers demoted Woodruff back to Triple-A. So far, he has been up-and-down between Triple-A and the majors all year. In the majors, he is chiefly pitching in relief, where his velocity plays up (averaging 96 mph). Like Mahle, Woodruff employs a three-pitch repertoire (fastball, slider, changeup) and has 3- or 4-starter upside. Carson Fulmer, Chicago White Sox. Despite significant command issues (13 walks, 2 hit batters, 1 wild pitch), Fulmer continues to start for the White Sox. In his last two starts, he is showing signs of life with back-to-back quality starts (13 IP, 2 ER, 6 K, 7 H, 4 BB). This year, Fulmer is relying on a fastball, cutter, and changeup, with an inconsistent and distant curveball as his fourth pitch. Dillon Peters, Miami Marlins. Like Fulmer, Peters is struggling with command, issuing 13 walks, a hit batter, and 3 wild pitches. It appears the Marlins will utilize him in a long-relief role moving forward. Walker Buehler, Los Angeles Dodgers. An injury to Rich Hill opened a spot in the Dodgers rotation, which Buehler filled in the last two turns. During those starts, he was fantastic, showcasing his double-plus fastball (97 mph), a wipeout slider, and a 12-to-6 curveball. Dave Robert just announced Buehler is now a fixture in the starting rotation. He has top-of-the-rotation upside. Mike Soroka, Atlanta Braves. On May 1st, Soroka made his major league debut, allowing just 1 run in 6 innings. His repertoire is firmly above-average, with a mid-90s sinker (94.1 mph), a tight, upper-80s slider, and a mid-80s changeup. Further, Soroka displays exceptional command of all three pitches. He has 2- or 3-starter upside. Joey Lucchesi, San Diego Padres. A strong spring and an injury to Dinelson Lamet conspired to earn Lucchesi a spot in the Padres’ starting rotation. Relying on a funky, jerky delivery, he creates plenty of deception and nonetheless manages to command his pitches. In addition to his odd delivery, Lucchesi throws an odd pitch, a “churve,” one-part changeup, one-part curveball. Thus far, his churve limits opposing hitters to a .170 batting average with tons of whiff (19.3%). For now, his two-pitch repertoire and deceptive delivery are finding success (2.78/1.11 ERA/WHIP with 35 strikeouts in 32 1/3 innings). Lucchesi has 3- or 4-starter upside. Yonny Chirinos, Tampa Bay Rays. Prior to his injury (below), Chirinos was a pleasant surprise (3.71/1.28 ERA/WHIP). In the year of the resurgent splitter, he was one of the most successful, with a .069 batting average against and 19.6% whiffs. Jack Flaherty, St. Louis Cardinals. Even though Flaherty opened the season in the Cardinals rotation, the return of Adam Wainwright forced him back to Triple-A. Between Triple-A and the majors, he has been superb (2.70/1.00 ERA/WHIP). Flaherty works with a low-90s fastball, low-80s slider, and upper-70s curveball. Although the fastball and curveball are solidly average to above, his slider shines, with 31.9% whiffs this year and 29.2% last year. Flaherty profiles as a 3-starter. Jaime Barria, Los Angeles Angels. Barria made his major league debut on April 11th and again appeared on April 22nd. During those starts, he flashed an average repertoire, with a low-90s fastball, low-80s changeup, and low-80s slider. Surprisingly, Barria’s slider, normally graded average or below, was his most effective pitch. Ultimately, his future likely lies as a reliable 4- or 5-starter. Max Fried, Atlanta Braves. Fried is back in the majors, operating in long-relief for the Braves. Long-term, he likely is a 3- or 4-starter, but, with a devastating curveball, he could provide an excellent multi-inning option out of the bullpen. A.J. Minter, Atlanta Braves. Minter is a potentially special late-inning reliever, pairing a 96 mph fastball with a wipeout, 91 mph slider. Already receiving late-inning opportunities for the Braves, including a save on April 25th, he will continue to push Arodys Vizcaino for the closer role. Since Minter is a left-handed pitcher, however, expect him to remain in a high leverage, set-up capacity. Jordan Hicks, St. Louis Cardinals. Hicks was a surprise addition to the Cardinals’ Opening Day roster as a reliever. When he first took the mound on Opening Day, he fired a 101.6 mph fastball. Since then, he bested himself with a 102 mph heater on May 1st and averages 99 mph. Further, his fastball is a sinker, generating 54.5% groundballs. On the year, he has limited opposing hitters to a .160 BAA and posted a sparkling 1.17 ERA. On the downside, Hicks is a wild thing, with 13 walks, 3 hit batters, and 2 wild pitches in just 15 1/3 innings. Meanwhile, since he tends to pitch to contact and his slider is not a swing-and-miss pitch, he only has 7 strikeouts. Hicks has a late-inning fastball with unrefined secondaries and command. As such, his ultimate role is unclear. Jesus Luzardo, Oakland Athletics. Last year, Luzardo never pitched above short season ball. Despite his lack of experience, the Athletics invited him to Spring Training, where he impressed in 6 scoreless innings. As a result, the Athletics aggressively assigned Luzardo to High-A and promptly promoted him to Double-A. Between those levels, he has been dominant, tallying 37 strikeouts in 24 2/3 innings. Grade Change: risk decreases from 35 to 40, moving Luzardo into the top 100 overall. Shane Bieber, Cleveland Indians. The command and control posterboy, Bieber issued just 1 walk in his first 31 innings. Further, he began the season with 20 scoreless, and 26 walkless, innings. On May 1st, the Indians promoted Bieber to Triple-A. It should not be long before he debuts for the Tribe. Grade Change: risk decreases from 35 to 45, moving Bieber into the top 100 overall. Griffin Canning, Los Angeles Angels. Due to medical concerns, Canning fell to the second round of the 2017 draft, and the Angels then shut him down. This year, Canning is showcasing an improved repertoire, including a mid-90s fastball and two plus secondaries (slider and curveball). After three starts in High-A, the Angels promoted him to Double-A, where he was part of a no-hitter (5 innings). Now, there is talk Canning may debut in the majors this year. Grade Change: repertoire increases from 55 to 60 and risk decreases from 30 to 40, moving Canning into the top 100 overall. Jalen Beeks, Boston Red Sox. The minor league leader in strikeouts per nine innings (16.93), Beeks is dominating Triple-A. Although he lacks elite velocity (low-90s), his three secondaries flash plus (cutter, curveball, and changeup). For fantasy purposes, he likely is on the verge of a promotion and could surprise. Grade Change: repertoire increases from 45 to 50. Zac Lowther, Baltimore Orioles. A second round pick in the 2017 draft, Lowther is a finesse, left-handed pitcher with a deceptive delivery. Although his fastball only sits in the upper-80s, it has plenty of run and plays up due to deception and extension. Meanwhile, Lowther chiefly supports his fastball with an upper-70s slurve. Since turning pro, his meager arsenal generated an astounding 114-to-14 strikeout-to-walk ratio in 76 1/3 innings, including 39-to-3 in 22 innings this year. As Lucchesi demonstrates, deception and command of two pitches can find success in the majors. Corbin Martin, Houston Astros. Like Lowther, Martin is a second round pick in the 2017 who has dominated as a pro (1.39/0.77 ERA/WHIP in 51 2/3 innings). This year, he has been unhittable, allowing 0 earned runs and just 4 hits over his first 19 innings. Although his command is suspect, his repertoire is dynamite, including a mid-90s fastball and a power breaking ball, generating tons of groundballs (60.6%) and strikeouts (37.1%). Based on his lights out performance in High-A, on May 1st, the Astros promoted Martin to Double-A. * Grade Change: command and control increases from 40 to 45 and risk decreases from 35 to 40, moving Martin into the top 200 overall. Jonathan Loaisiga & Trevor Stephan, New York Yankees. The Yankees continue to churn out quality arms and the latest two may be Loaisiga and Stephan. Both are off to tremendous starts in High-A and are among the minor league leaders in strikeout-to-walk ratio. Loaisiga throws gas, sitting in the mid-to-upper-90s, and complements it with a plus, low-80s curveball. Meanwhile, Stephan has a low-to-mid-90s fastball and an upper-70s slider. With above-average command of at least two above-average to plus pitches, Loaisiga and Stephan possess mid-rotation or late-inning upside. Hunter Greene, Cincinnati Reds. Over four starts in Low-A, Greene has not lasted more than 3 innings (8 total). Although he has 17 strikeouts (34.7%), he has allowed 13 runs, 18 hits, 6 walks, and a hit batter, good for a disastrous 14.63/3.00 ERA/WHIP. Thus far, hitters have an incredible .708 batting average on ball in play off Greene. Ultimately, it is far too early for any concern, though his command and control troubles bear monitoring. Jose Albertos, Chicago Cubs. Arguably, Albertos has had the worst start to the season among minor league pitchers. In four Low-A starts, he has not lasted more than 2 innings (5 2/3 total). In that time, he walked an astounding 14 batters (31.8%), including 10 over his last 2 2/3 innings. Further, he leads all minor league pitchers with 9 wild pitches already! To say Albertos currently has no control is an understatement. Riley Pint, Colorado Rockies. After just 1/3 of an inning, Pint left his first start with forearm tightness. During the brief outing, he managed to allow 2 hits, 2 walks, and a wild pitch. Since the Rockies drafted Pint fourth overall in the 2016 draft, he has 84 walks in 130 1/3 innings (13.7%). Further, forearm tightness is often a precursor to Tommy John surgery. Given his poor performance and potential long recovery, it is time to move on from Pint in shallow leagues. Cody Sedlock, Baltimore Orioles. A first round pick in the 2016 draft, Sedlock has not lived up to expectations after a stellar debut. Since his debut, he has been stuck, struggling in High-A. This year, Sedlock has only thrown 9 1/3 innings, allowing 16 hits, 9 walks, 3 hit batters, and 2 home runs. On April 20th, he landed on the disabled list with a strained right shoulder. The Tommy John surgery victims: Brent Honeywell, A.J. Puk, Jose De Leon, Cole Ragans, and Kyle Cody. The suspensions: Forrest Whitley (50-game suspension) and Thomas Pannone (80-game suspension). The other notable injuries: MacKenzie Gore (blister); Franklin Perez (lat strain); Jay Groome (flexor strain); Nate Pearson (back); Mitchell White (undisclosed); Domingo Acevedo (finger); Chris Rodriguez (back); Jacob Nix (groin); Blayne Enlow (back); Grant Holmes (rotator cuff); Andres Munoz (elbow); Felix Jorge (triceps soreness); Yonny Chirinos (right forearm strain). Brendan McKay is the other notable two-way player. To start the year, the Rays conservatively assigned him to Low-A. So far, he is not hitting for much power, but piling up the walks (16 or 28.1%). Meanwhile, on the mound, he has a 24-to-1 strikeout-to-walk ratio in just 14 innings. Seth Romero remains at home in Houston after repeated curfew violations during Spring Training. In his first start returning from Tommy John surgery, Chris Paddack threw 6 scoreless innings with 7 strikeouts, 3 hits, and 0 walks. On May 3rd, the Yankees promoted Justus Sheffield to Triple-A. Prior to the promotion, he was excellent over 5 starts in Double-A (2.25/1.07 ERA/WHIP with 39 strikeouts in 28 innings). Dustin May debuted for High-A, after a delay to the start of his season with an undisclosed injury. *Corbin Martin’s debut in Double-A did not go well (1/3 IP, 6 ER, 5 H, BB). I love that you include major league projections (top or the rotation, 3-4 starter). Fantastic article, one of the best and most informative I’ve seen this year, many thanks! I’m loving these prospect update articles Jesse!